Research published in the journal Cell Reports challenges the most popular theory about why our bodies deteriorate in old age. Scientists know that as we grow older our cells accumulate particles, called free radicals. It has long been thought that free radicals wreak havoc by damaging proteins and impairing their function – but the new research shows that proteins can survive unscathed. Fruit flies offer up clues to human ageing (Image credit). The idea that the build-up of free radicals over time is behind the effects of ageing was first suggested in the 1950s, and has received much attention ever since. Free radicals cause damage because they have too much, or sometimes too little energy. Inside our cells, they try to balance their energy levels by stealing extra energy from, or dumping excess energy onto, unsuspecting molecules, such as proteins. Free radicals carry out this balancing act by moving electrons around. If a protein loses an electron, or is ‘oxidised’, it may be unable to perform its usual function. Although our cells can initially repair this damage, it was thought that they struggle to cope with the increase in free radicals as we age. Cochemé and colleagues wanted to find out which proteins are particularly affected. They analysed hundreds of proteins in young, middle-aged and old fruit flies to identify which ones become oxidised with age. The experiments were performed on flies because they have many of the same genes as people and are thought to age in a similar way, but are much easier to study because they live for only three months. Protein oxidation can also act as a signal to alert cells to environmental stresses, such as a lack of food. Although it seems counterintuitive, scientists know that restricting the diet of many animals can improve their health and extend their lifespan, but do not understand why. Trying to find out why this happens is a key focus of ageing research. 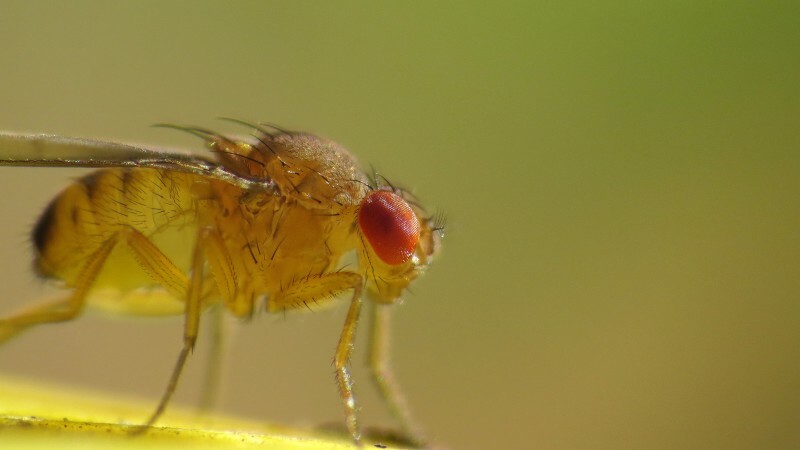 Cochemé and team compared the oxidation status of proteins in a group of flies that had been fed much less than normal to a group that was fed a normal diet. Starvation dramatically altered the oxidation state of the proteins: it increased the amount of proteins that were oxidised, and triggered others to gain electrons, or to be ‘reduced’. Further research into these results will shift the emphasis from free radicals to protein oxidation in our quest to understand the ageing process, Cochemé says, and may also tell us more about the possible link between diet and lifespan. Cochemé began the work at the Institute of Healthy Ageing at University College London, in collaboration with the MRC’s Mitochondrial Biology Unit in Cambridge. Now head of the CSC’s Redox Metabolism group, she plans to look more closely at exactly how the oxidation status of individual proteins impacts an organism’s response to fasting.